The City of Swan in Western Australia is set to entice more Singaporean travellers to visit Swan Valley with five new food and wine trails that reveal the charm of the region. As though there’re not already enough reasons for us Singaporeans to visit Western Australia, the City of Swan – located just half an hour outside of Perth’s Central Business District – has conjured a few more to keep us going back. In 2017 the City of Swan launched two trails, a ‘Sweet Temptations’ trail that brought visitors with a sweet tooth round to visit confectionary makers and producers, as well as a ‘Cider and Ale’ trail that showcased the region’s burgeoning craft beer and cider scene. This year, it’s added another five – ‘Fresh Seasonal Produce’, ‘Fine Wine’, ‘Wine and Art Off the Beaten Track’, ‘Kids in the Valley’, and ‘Bushtucker and Beyond’. In a trade event held in Singapore to feature all seven trails, City of Swan Mayor David Lucas shared that the region is a rural escape flourishing with fresh produce, countless gourmet artisan goods, bustling markets and award-winning wine. “The trails provide a map and guide for a day of touring the Swan Valley, and showcase the concentration of surprises, flavours, cultures and adventures waiting for you,” Lucas explained. If you’re a wine lover, the new ‘Fine Wine’ and ‘Wine and Art Off the Beaten Track’ trails will be of particular interest. 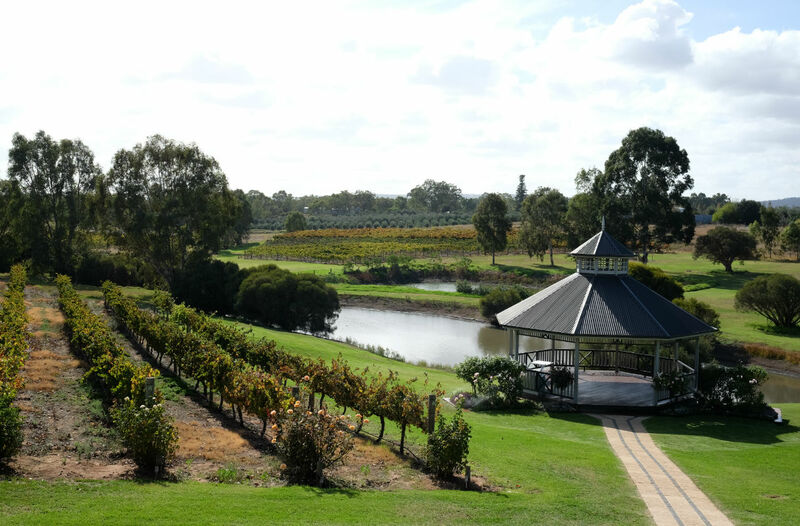 After all, Swan Valley is the oldest wine region in Western Australia, and second oldest in Australia after Hunter Valley in New South Wales. The ‘Fine Wine’ trail guides you through nine vineyards, including Mandoon Estate, Sandalford Wines, Oakover Wines, Pinelli Estate, John Kosovich Wines, and Sittella. For those who also love their art, ‘Wine and Art Off the Beaten Track’ not only takes you through wineries the likes of Swan Valley Wines and Garbin Estate Wines, you’re also led to the likes of Gomboc Gallery Sculpture Park and Battistessa Studio. “Our ‘Fine Wine’ trail is designed for the connoisseur and takes in the valley’s most exclusive and premium quality wines. (Or you can) add some culture and artistic inspiration to your day with our new ‘Wine and Art: Off the Beaten Track’ trail, where you’ll discover the creative genius behind family owned and operated wineries, handcrafted products and stunning artistic wares,” added Mayor Lucas. The City of Swan, supported by Destination Perth, are giving away two return economy class airfares from Singapore to Perth with Singapore Airlines, complete with four nights’ accommodation at the Novotel Vines resort and a full day tour of the Swan Valley from D’Vine Tours valued at S$2,750. Visit SwanValley.com.au/Singapore and complete the entry form for a chance to win.